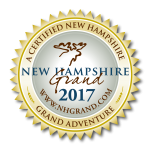 Experience The White Mountains Of New Hampshire Like Never Before! 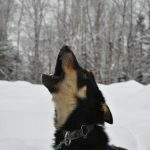 We offer year-round, family-friendly, dog sledding adventures from our kennel in Jefferson, NH and summertime whitewater rafting adventures from our two locations in Gorham and Errol, NH. All of our dog sledding experiences are designed to be more than “just a ride” and are hands on to the comfort level of the guest. As always, the proceeds generated from our tours help cover the expenses involved in caring for the 80+ incredible canine athletes that call us home.